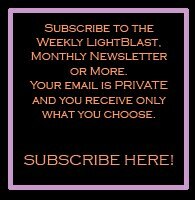 Note from Jamye: The LightBlast is a channeled topic from Areon for self-healing for Lightworkers. They are in an order that builds upon each other as they are a response to the current collective energies of Ascension. While they don’t apply to everyone in the same way, just understanding them and observing your own or others’ views and actions around the topic is valuable. With great Love they are sometimes pointing out where we could benefit from strengthening in some uncomfortable areas. Subterfuge is defined as hiding something, lying or tricking to avoid a consequence. That sounds negative, like it is something that only a bad person would do to harm another. However, often in the pursuit of feeling good, many seek to avoid the challenges that would offer new solution and empowerment. Our intent is to soften your definitions so that you are empowered to observe the duality in everything, connect it, and thereby release the polarization that separates the self. We spoke about the benefit of balanced vulnerability, for it offers growth. Without the opening that vulnerability provides, there is no ability to expand. What has taken Subterfuge in your heart or mind? What anger, fear or shame has yet to be illuminated by the Light of your Love? What have you not entrusted to the unconditionality of the universe that Loves all that you have experienced, for it has brought greater Understanding to the Absolutes of the past. In the silence of your forgiveness you offer hope and opportunity to the future. This benefits you, for you are freer within. It benefits others, for your compassion is a strength of connection rather than pity of inability. Blessed being, you have great power within. Do not sublet your heart and mind to the suppression of shame that another in pain would use to bind you. Misery doesn’t love company, for it does not love. It feels safe in the reflection of lack of power. Hold yours. For you are the only one that truly can. In essence, the Subterfuge of your heart and mind is not a bad thing. You are not weak because you have not solved every inkling of trauma, challenge or shame. Seek resolution, but do not resist its pace. It slows to strengthen you, for you to reach full understanding of your power to avoid, to confront, to await new form. Observe what you avoid and assess if you are in a moment of strengthening or resisting a consequence. Either one offers great potential. New choice is available every moment, so ease your heart and mind. As you release the shame of perceived imperfections, you will find strength in every choice and every choice strengthening. 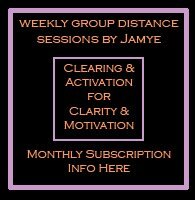 This is an advanced topic for Lightworkers, as they no longer allow the power of their heart and mind to be subletted by the past or the potentials of the future. Own yourself now. You do not need any external circumstance to change for that to happen, for it is all internal. The external will follow at the appropriate pace. As we sit to Blast Subterfuge, we are healing hidden pain or misperception into wisdom. We are allowing the Light of Love to illuminate the inner jewel of compassion within. We are folding time into now as the past becomes the present gift of strength and the future becomes the form from now. We are aware and accessing, becoming whole and empowered with each understanding and experience. 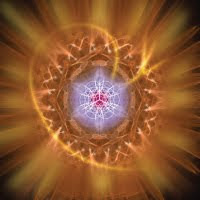 We are the path of potential, leading the self with the power of innate divinity embodied. We are opening doors long closed, shining Light in all directions, and awakening the power of Love within. Blast on!